Keep your core super-warm in comfortable Heavyweight Fleece. The micro-fleece interior feels soft against the skin. Plus, it's moisture-wicking to help keep you dry. 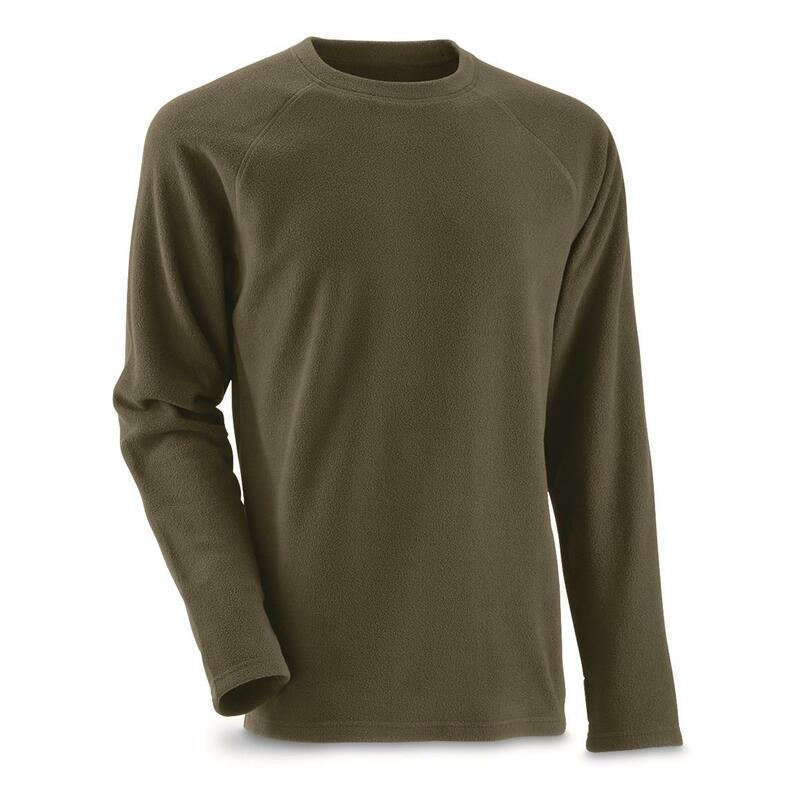 Raglan sleeves provide unrestricted movement, while thumbholes keep it in place over layers. With this Heavyweight Base Layer Top, frigid temps won't keep you inside. 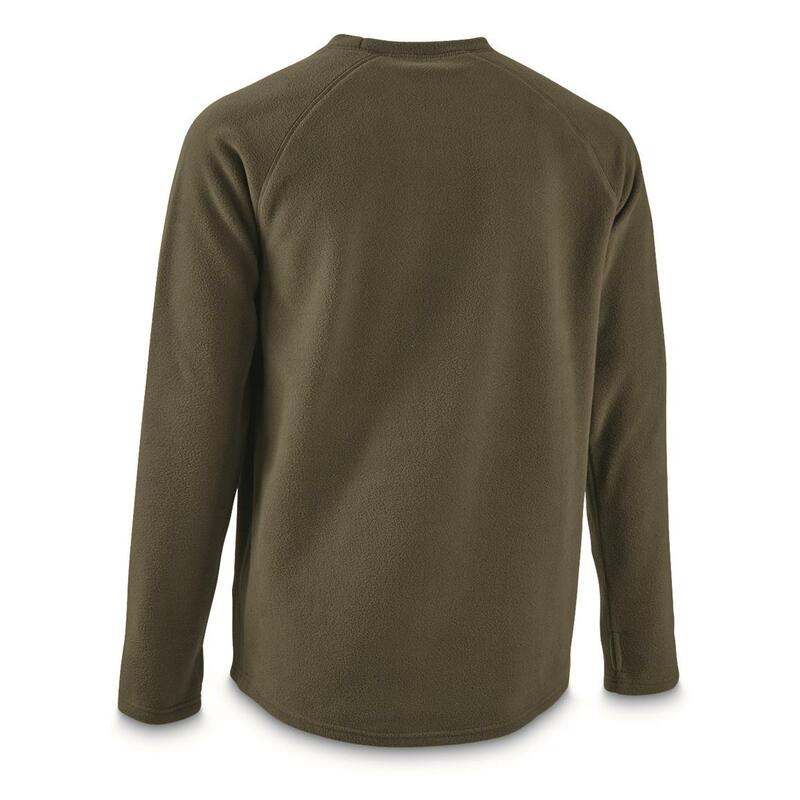 When it's really cold, keep really warm in this Heavyweight Fleece Base Layer Top. Guide Gear Mens Heavyweight Fleece Base Layer Top is rated 4.8 out of 5 by 10. Rated 4 out of 5 by Patty from My husband was happy with this shirt. Great price as well. The only downside is everything sticks to the fleece. Rated 5 out of 5 by David from Great price Soft and quite just right for hunting, also warm. Rated 4 out of 5 by Kaniksu Kidd from Soft and fuzzy Material is soft, fuzzy, and very warm. Laundered once already with no pilling of the material. Hope it stays that way. Thumbholes are uncomfortable to use. Made in China. Nice long tail stays tucked in. Rated 5 out of 5 by Jack from Soft and warm Bought two for work. I work outside at Philadelphia airport for UPS. THIS shirt is a fantastic first layer near your skin. Holds in your heat but breathes as well. If you work or play outdoors in the winter, this is for you! Great price too! Rated 5 out of 5 by Norm from Great fleece. This is a really great deal for a great performance shirt. I wish I would have bought several of these while you still had my size. Rated 5 out of 5 by Norm from A great top for the money. Very warm and breathable without all the bulk. I don’t need the thumb holes but hey, what ever works. Great shirt. Norm K . Cudahy Wi. Rated 5 out of 5 by Andy from Really nice shirt !! Really nice shirt and very warm. Rated 5 out of 5 by Arlo1560 from Soft and Warm! Size is good, these are soft, and extremely warm. You can't beat the price.